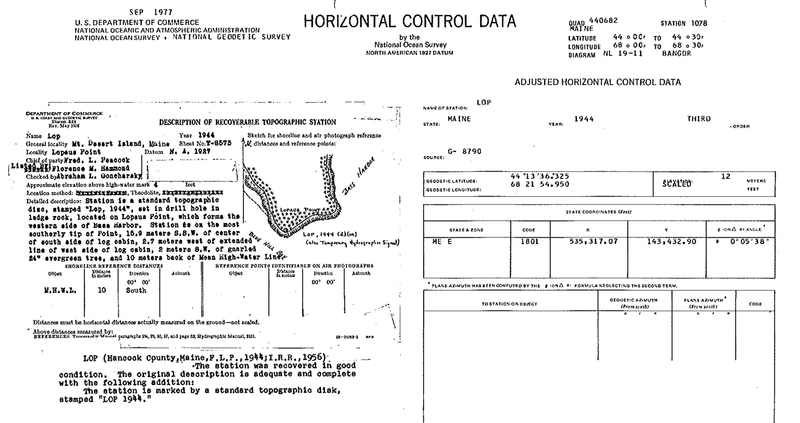 Harold Nelson of MaineDOT has sent along old horizontal control datasheets from Hancock County, Maine. These were developed when the Coast & Geodetic Survey (now the NGS) was a component of the ESSA, Environmental Sciences Services Administration. The ESSA was reorganized into NOAA in 1970.